State of Testing Survey 2019 – Now Live and ready for your response! For the last five years, I have enjoyed answering and reading over the results of the State of Testing Survey produced by PractiTest and Tea Time for Testers. I was pleasantly surprised today to see that the State of Testing Survey 2019 is now live and ready for responses. Last year’s survey had over 1,500 respondents. Be sure to take the survey as soon as you can and let’s see if we can get a record number of response! 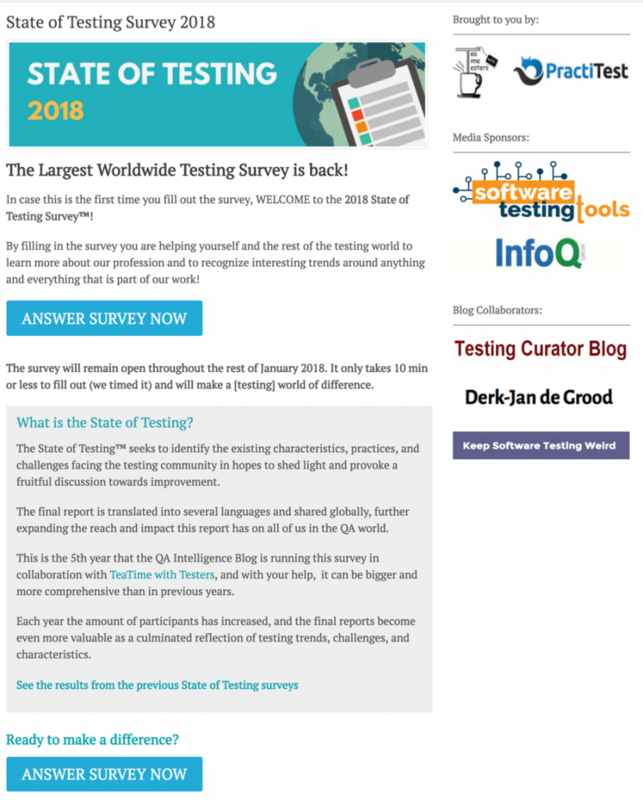 State of Testing Survey 2018 – Now Live! The time of anticipation is now over. The State of Testing Survey 2018 is now live! Be sure to take the survey as soon as you can. Let’s get a record number of respondents again this year! State of Testing Survey 2018 – Coming Soon! For the last four years, I have enjoyed answering and reading over the results of the State of Testing Survey produced by PractiTest and Tea Time for Testers. 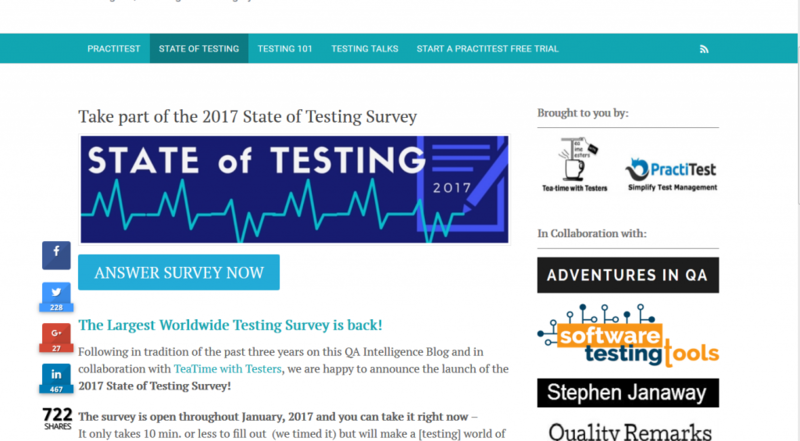 I was pleasantly surprised this morning to see that the State of Testing Survey 2018 is coming out again very soon. January 10th, 2018 to be exact. Last year’s survey had over 1500 respondents. Be sure to share the news with other testers that you know. Let’s try to break last year’s number of respondents. 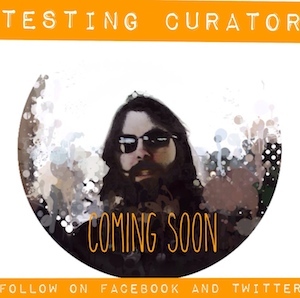 Where’s the Testing Curator and Testing Bits? Over the last week, you might have noticed that I have been less active on Twitter. 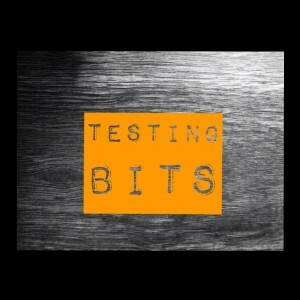 And for the first time since January 2013, I failed to post an edition of Testing Bits.